The sale,use,import and smoking of Shisha is now illegal in Kenya,the ban was implemented by the current minister of health,Cleopa Mailu. Attempts to have the courts lift the shisha ban in Kenya are so far unfruitful as the judge asked those opposing the ban to seek alternative orders so that they can be granted a chance to be heard on this Friday. More than a dozen entrepreneurs and various stakeholders affected by the shisha ban went to court terming the ban as unconstitutional and unfair. Their reasons were that the ban would lead to huge losses due to the current stock, investments and loss of employment for their employees. The petitioners constituted of importers, manufacturers and the final consumers of the tobacco based product. 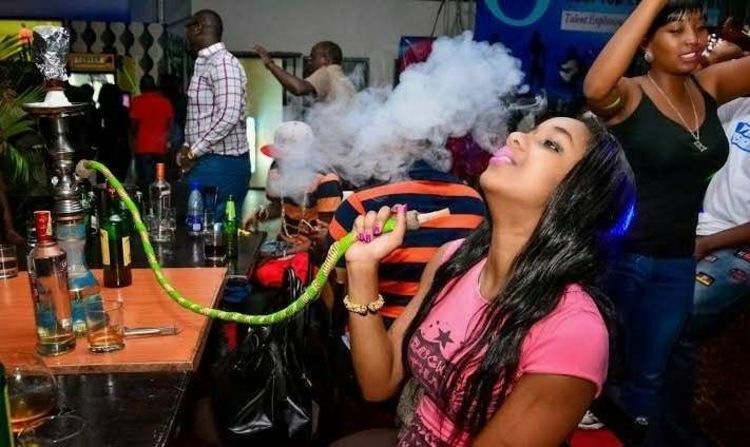 The consumption of shisha in Kenya had already become very popular especially in Nairobi and its environs as teens and other revelers do not miss a shisha bong on their tables. There are already shisha-dedicated clubs within and also outside Nairobi where only shisha is served to its enthusiasts. In Kenya,the use,import and sale of Shisha is controlled by the Tobacco Act that was formulated in 2007.In the Act,cigarettes and other Tobacco products should be consumed in secluded areas to allow non-smoker ample time. Even today in the streets of Nairobi,cigarettes are only consumed in designated smoking zones even in clubs.Those found culpable of disobeying the law may face a court fine of not less than Ksh.50,000 or imprisonment. For shisha,tobacco smoke is burned in a container and a long flexible tube connected to the container passes through cold water or any other liquid to cool off. Shisha is available in different in various flavors. The petitioners also noted that they are duly licensed to operate the business and that the cabinet secretary for health erred in banning use of shisha as he did not specify the diseases caused by its use nor did he provide any notice so that the vendors and other stakeholders could avert the losses which could be in the tune of billions. The petitioners urged the court to uplift the shisha ban in Kenya until the case has been heard and solved,The judge however declined to do so. According to the notice issued by Cleopa Mailu,persons found guilty of the ban found will be liable to a court fine of at most Sh50,000 or will face jail for a period of up to six months or even both.It outlaws the import,manufacture,facilitation and consumption of shisha in Kenya. In the same month, Rwanda had also prohibited the sale and use of shisha while Tanzania`s no nonsense president outlawed it in mid-2016. Whether the court upholds or downplays the shisha ban in Kenya on Friday remains a mystery but with the various health concerns, trends in neighboring countries the chances of abolishing the ban are slim.